Todd Parnell can relate to Chico because baseball has been very, very good to him. 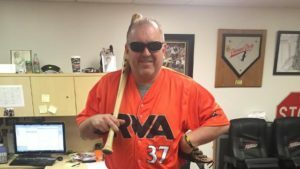 As the Richmond Flying Squirrels begin their fifth season, Parney, the team’s vice president and chief operating officer, is raring to go. “We never rest on our laurels,” he said in a recent interview in his office at The Diamond. Parney has laurels he could rest on. After the Squirrels’ second season, during which they averaged 6,679 fans a game, he was named the 2011 Minor League Executive of the Year by Baseball America. 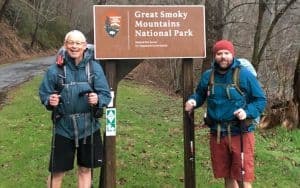 The 47-year-old Parney’s love of baseball goes back to his boyhood days in Locust, N.C., a rural community about 25 miles east of Charlotte. When he was 14, his parents moved to Philadelphia. “From Locust to Philadelphia. That was culture shock for this country boy.” After high school, he went to Messiah College in Mechanicsburg, Pa., where he played basketball for the NCAA Division III school. His lack of jumping ability earned him a nickname in honor of a fast-food hamburger. That plan changed his junior year when he took an internship with a television station in nearby Harrisburg, Pa., which led to his first job in professional sports, working for an indoor soccer team there. He was hired as general manager of the Class A South Atlantic League team in Kannapolis, N.C., an old cotton mill town about 30 miles northeast of Charlotte. The team was the Piedmont Boll Weevils. “A cotton mill town’s baseball team was named for the bug that killed the cotton crop,” Parney said. “I never did get my arms around the thinking behind that.” That would soon be changed. Being near Charlotte enabled him to meet NASCAR people, including Kannapolis’ favorite son, Dale Earnhardt Sr., the most popular driver at that time. 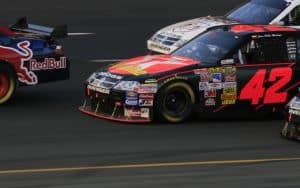 Earnhardt’s nickname, The Intimidator, inspired Parney to change the team’s name to the Kannapolis Intimidators. Working in Kannapolis was like going home. His parents now are back in Locust, living in the house where Parney spent his boyhood years. Old friend Chuck Domino was instrumental in bringing the Class AA Eastern League franchise in Norwich, Conn., to Richmond in 2010. Richmond had been without professional baseball since the end of the 2008 season when the Richmond Braves, the city’s Class AAA International League team for many years, moved to the Atlanta suburbs. Parney was working in the front office of another Eastern League team, the Altoona (Pa.) Curve at the time. Domino, who would become the Squirrels’ chief executive manager, called and asked him to go with him to Richmond. Parney agreed. The two came to Richmond in August 2009, to check out The Diamond and the city. The success of the past four years has proven that. Through shrewd promotions and tightened management, the Squirrels have become one of the Eastern League’s most successful teams. As Todd “Parney” Parnell begins his 25th season promoting minor league baseball teams, he is reluctant to take sides in the location of a new ballpark in Richmond. Mayor Dwight Jones supports a plan to build it in Shockoe Bottom. Opponents want a renovated Diamond or a new park on Boulevard. Meanwhile, a new season begins and Parney’s job is to make fans show up game after game. A former sports writer for the Atlanta Journal-Constitution, Steve Clark went on to become a columnist for The Richmond News Leader and, later, the Richmond Times-Dispatch.